Season 4 ends with a Jeff Purvis Porter Cable press kit from 2000. For my last Friday Feature on vacation, I present my autographed baseball collection! I’ll be back next week! Black, gold, orange, and white is a bit of a bold color scheme. That said, the design works very well. The stripes aren’t over done, the logos work well with the color schemes, and the car looks good as a whole. I like the idea of the front suspension and front wing being one in the same. I also see another instance of a useless windshield setup here. All in all, it’s an A scheme. The late Jason Leffler raced for MBNA in 2000, and has this press kit which is autographed. 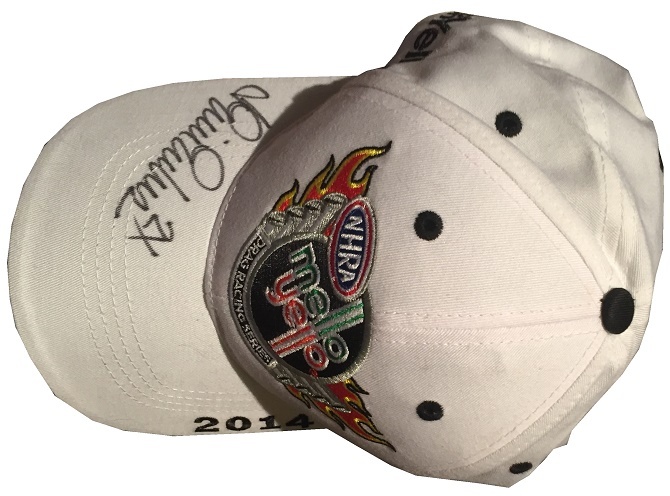 The Driver Suit Blog-The Crown Of The Queen Of Pro Stock. She has 22 national event wins, 2 Pro Stock Championships, is a former junior dragster champion, and even has had a Disney Channel movie made about her life. She is the 35th woman to win an NHRA event, the first woman to win a Pro Stock race, and the first woman to win a Pro Stock championship. Yet Erica Enders-Stevens isn’t flashy, or uptight. She remains humble and devoted to racing. Erica started her racing career in 1992, in the first Junior Dragster season. She would win the second race of her career. After earning 38 wins in Junior Dragster, she moved up to Super Gas, earning a win in Super Gas, at Houston, her home town track. She joined the Pro Stock ranks in 2005 with Cagnazzi Racing. She was the first woman to qualify in the top half of the field, made the final round in Chicago, and won more rounds than every other woman in the history of the category COMBINED! 2011 saw Erica beat Monster Energy NASCAR Cup Series Champion Kurt Busch in the first round of the Gatornationals, and set a new Pro Stock speed record that same event. At the 2012 Route 66 Nationals, she won her first Pro Stock Wally, and her boyfriend Richie Stevens Jr. proposed to her. 2012 saw her win three more races. 2013 saw her win two races, the last with Cagnazzi Racing. In 2014, she joined Elite Motorsports, and that could be considered her breakout year. She had 6 wins, the most of her career up to that point, and the most of any woman in the class up to that point. She also won the K&N Horsepower Challenge, and earned her first Pro Stock championship. 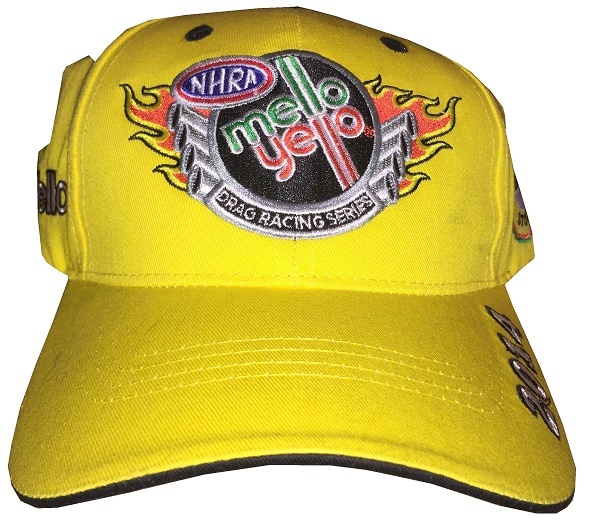 2015 would see her win her second Pro Stock Championship, this time winning 9 races, the most of any woman in a single season in the Mello Yello Drag Racing Series, and solidifying her rank as second on the list of most wins by a female driver with 22. 2016 saw a shift in Pro Stock equipment rules, the first since 1982. Elite made the decision to switch from Chevy to Dodge, with disastrous results. While KB Racing thrived, Elite struggled, Erica went from a championship driver, to a driver who struggled to win rounds. Her frustration was visible, but she kept on fighting. 2017 has seen her return to Chevy horsepower, and she has had a career resurgence. 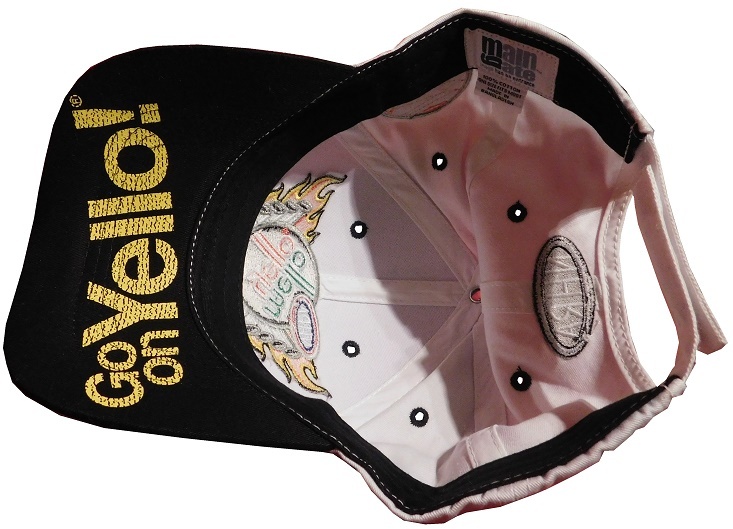 The white hat is in great condition, with Erica signature on the brim in black Sharpie. 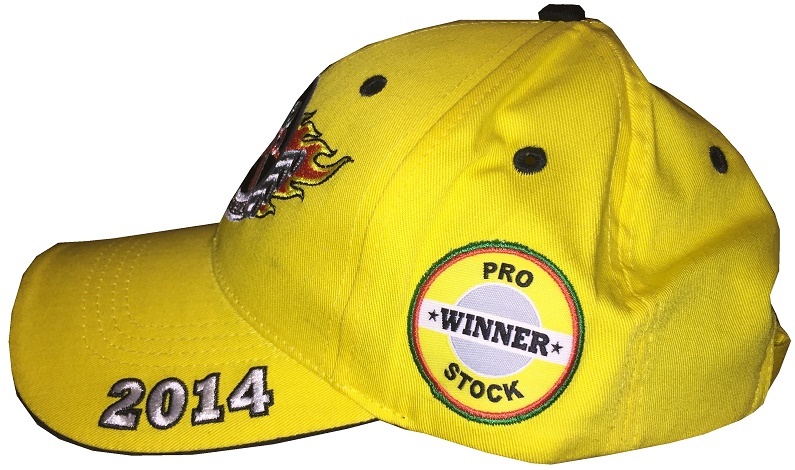 Like the race winner’s hat, the left side has 2014 on the brim, but this one has the PRO STOCK CHAMPION patch sewn into it. 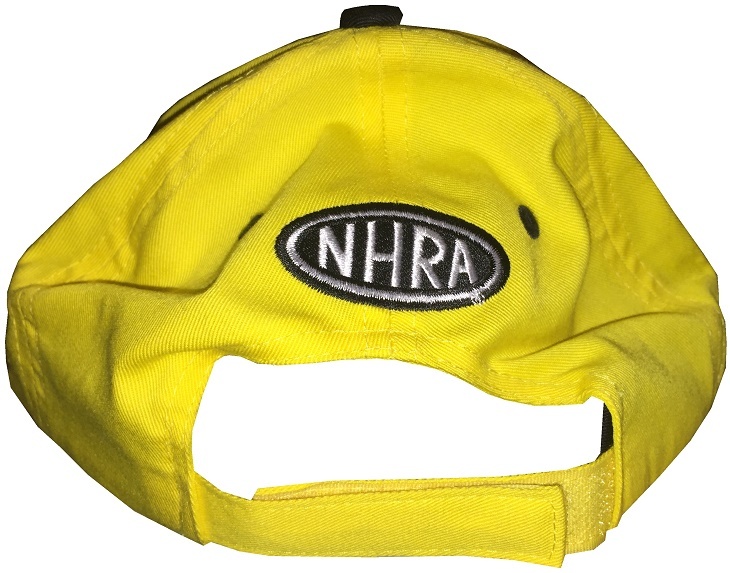 The back of the cap has an NHRA logo embroidered into it, and CHAMPION embroidered on the Velcro closure. 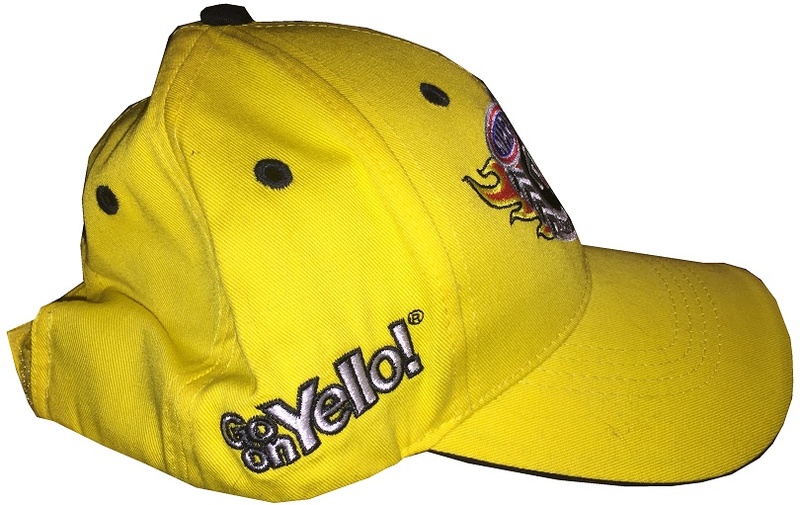 As with the race winner’s hat, the right side features the official Mello Yello Drag Racing Series slogan “GO ON YELLO embroidered into it. 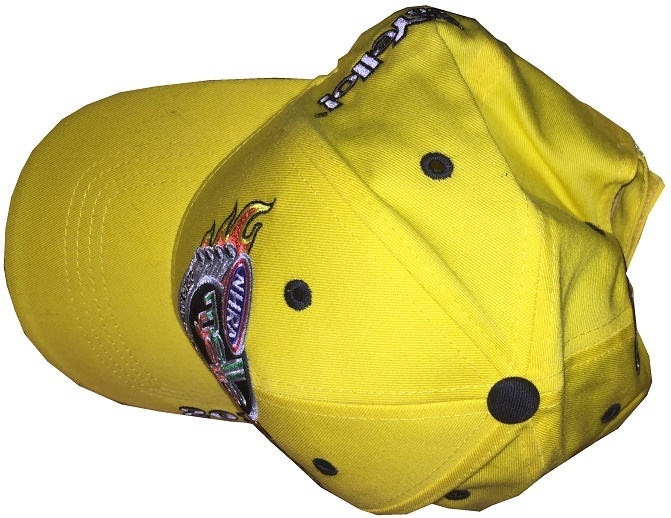 The top of the cap has the black eyelets, and the black squatchee. 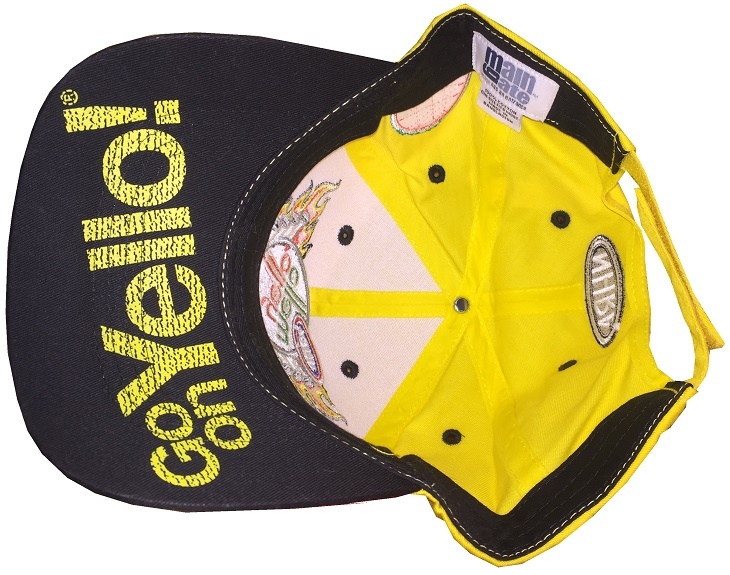 The inside of the cap is in good condition, and the under-brim has GO ON YELLO heat-pressed into it in yellow ink on black material, same with the yellow hat. Erica Enders-Stevens has had a great career, and has broken ground for women in the NHRA, even when it seems that is no longer possible. Her career is rebounding after a bad season, having won the New England Nationals at Epping, her first event since 2015. She loves what she does, and cares deeply about her craft. Next week I’ll discuss my baseball memorabilia collection. The stripes up the sides are a bit overdone, but they work with the color scheme. I do like the red background near where the driver sits. Is the split down the middle of LIDTKE supposed to be like that, or is that a mistake caused by the body panel design? I’m going to guess its part of the design. It’s a C scheme. Andy Santerre and Kenny Wallace split driving duties in 2000 for Lance Snacks. This press kit is of similar vintage.